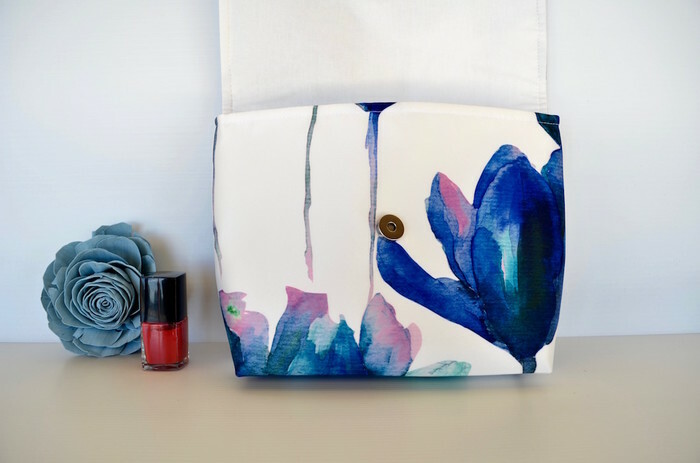 This beautiful toiletry bag features blue watercolour lotus flowers on a white background. 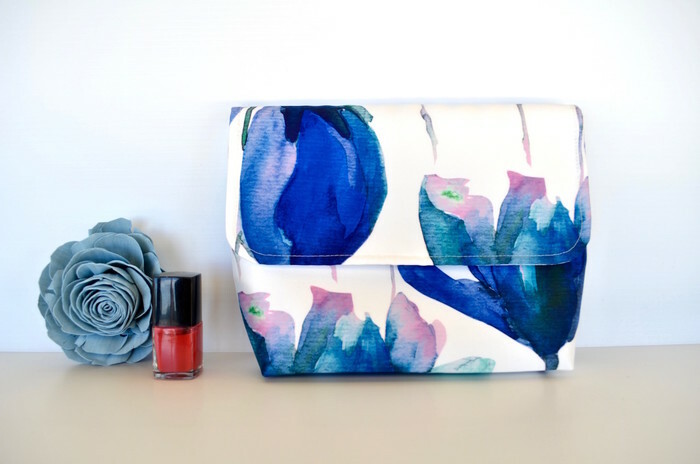 A luxurious taffeta fabric make up bag fit for a bride! Inside is a layer of heavy weight stabiliser to help the bag maintain its shape. 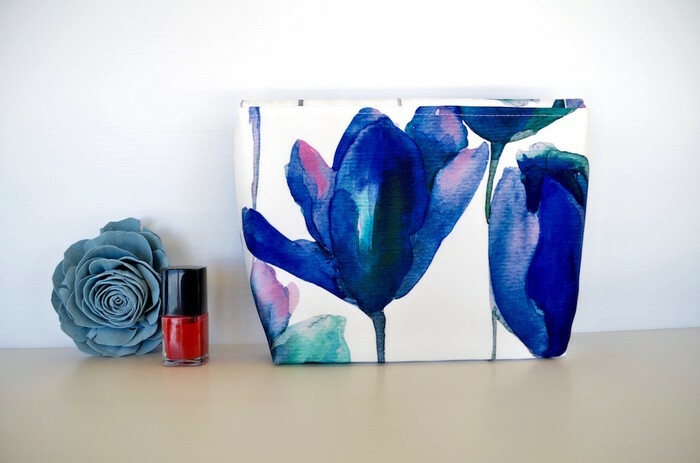 Next is a layer of VileneH630 - fusible padding to help protect your valuables. 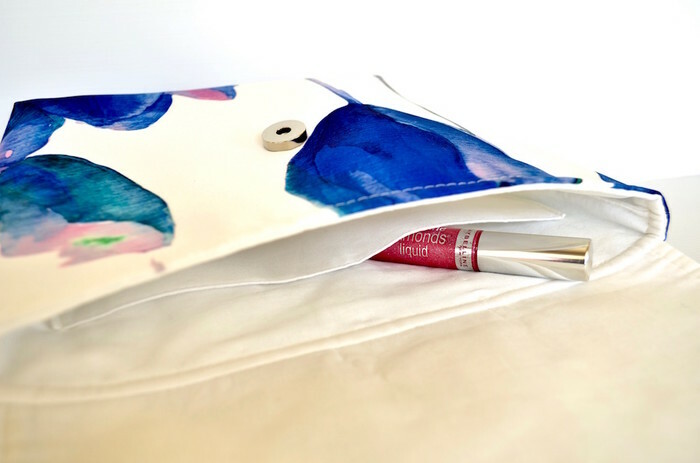 The pouch is lined with plain white cotton fabric. It closes with a magnetic snap fitted into the flap. No zips anywhere. Easy to open and close. 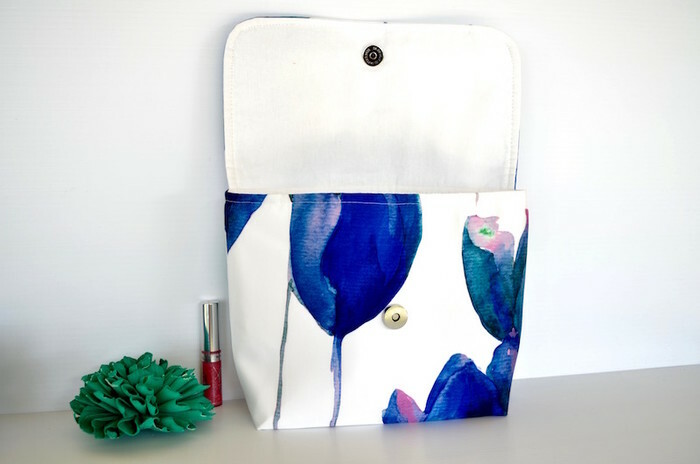 This cosmetic bag contains a pocket for make up brushes 8" x 4" (21cm x 10cm) with a snap fastener to close. All fabrics are new and washed prior to sewing to prevent dye run and shrinkage. I recommend hand washing, line drying and pressing if needed, on your iron's silk setting.